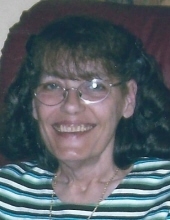 Carolyn Pearce Starling , 69, of Kenly, passed away peacefully after a long illness on November 7, 2018 at the SECU Hospice House in Smithfield. Carolyn was born on February 1, 1949 in Raleigh, NC to the late George and Effie Pearce. She was also preceded in death by her brother , Captain Douglas Pearce. She is survived by her daughter, Chan Starling Hales (Tooie) of Kenly , her son Chance Starling (Natasha) of Los Angeles, California,her sister Deborah Pearce Poindexter (Fred) of Columbus, Ohio and her three grandchildren, Holden, Gabby and Wyatt Hales of Kenly. She spent her life taking care of others whether it was in her job as a secretary, babysitting her precious three grandchildren or caring for her mother. A visitation will be held at the Kenly Funeral Home on Sunday,November 11 from 4-6 pm. In lieu of flowers,please make a donation to your favorite charity or donate to The Hinnant Outreach Center in Micro. To send flowers or a remembrance gift to the family of Carolyn Pearce Starling, please visit our Tribute Store. "Email Address" would like to share the life celebration of Carolyn Pearce Starling. Click on the "link" to go to share a favorite memory or leave a condolence message for the family.